We start at 9:00 a.m. and finish around 5:30 p.m. Tours are available daily from May to October. Please contact us about private tours. We can transport up to 8 people and organize transportation for bigger groups upon request. Tours run with a minimum of 1 person. 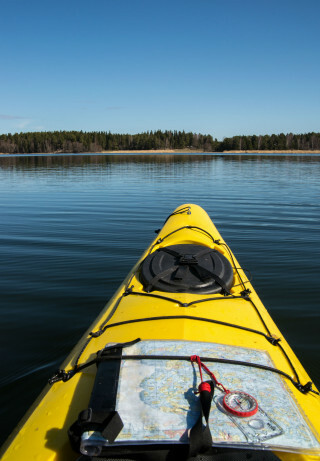 Children must be above 10 years when sharing a double kayak with an adult, and above 16 years when using a single kayak on a scheduled departure. During a private booking, there is no age limit. No previous kayaking experience is required, we will show you everything you need to know for comfortable and safe paddling with a guide. 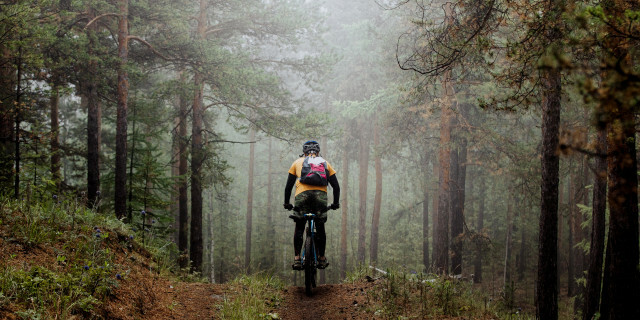 However, as with any outdoor activity, you should have a reasonable level of physical fitness and confidence when moving into nature. We meet at Palandergatan 49, 12137 Johanneshov. It's easily accessible by metro, but you may also use your own vehicle to get there. It is possible to leave all your unnecessary belongings with us once we meet. In case of a fire ban, your guide won’t be allowed to light a fire in any place. He will prepare fresh wraps instead. What to bring? You should wear quick-drying cloth (wool or synthetics), a clothing layer for windy days and a raincoat. We also recommend quick-drying shorts or tights with a swimsuit underneath. Finally, you’ll need closed shoes, which can get wet (such as sneakers or water shoes). Don’t forget your camera and a waterproof case (or plastic bag) for your phone, if you are planning to use it. We also recommend bringing sunglasses, sunscreen, and an extra set of clothing for the evening or in case you get wet. Art, architecture, design, and fashion. Scandi cool in Stockholm is fantastic, but the Swedish capital is more than a mere busy center. 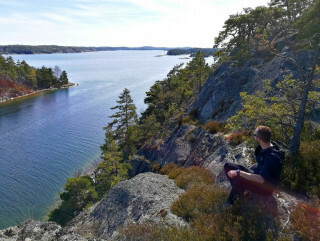 With numerous islands – some of them deserted – and rich wildlife, the archipelago offers a unique opportunity to be in contact with the best mother nature has to offer. 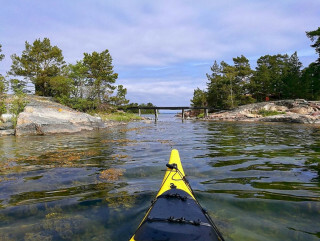 This kayaking trip is all you need to get up close and personal with Stockholm’s natural wonders. It is your chance to have a peaceful and relaxing time spiced with a bit of adventure. We depart at 9:00 a.m. from our headquarters, just 10 minutes south of Stockholm by metro. Here you meet your guide, collect the kayaks, and go through some basic techniques and safety tips. After that, we get into the car and head to a charming village called Dalarö. During our half-hour(ish) driving, we have the chance to see some lovely Swedish red huts discreetly placed among the pines. 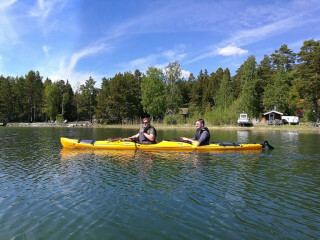 In Dalarö, we jump in the kayaks to start our adventure. 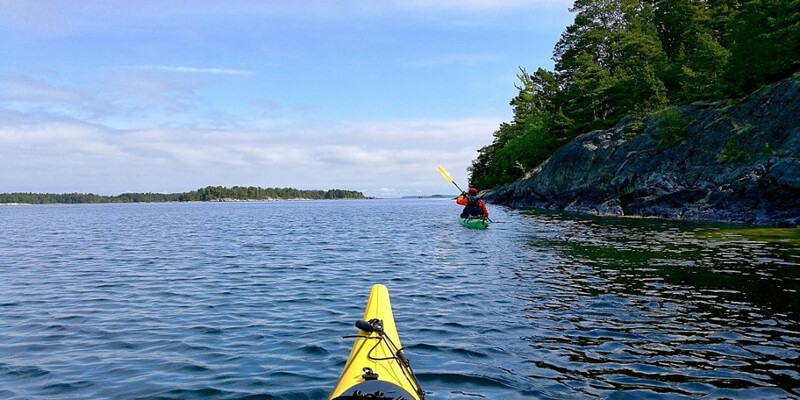 Paddling in and out, we explore different islands throughout the day. Don’t worry if you have little to no experience. You will have plenty of time to rest if you want. At about noon, we have a break for lunch on a deserted island. Your guide makes a campfire and prepares a traditional Swedish meal. Here, you can take your time to rest and eat in complete peace. All you can hear are the swell of the Baltic and the singing birds. 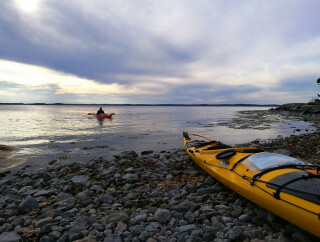 At the end of the afternoon, we paddle back towards our starting point. This time, we meander through some of the wildest parts of Stockholm. Every turn surprises you with a new show of beauty. Back at our headquarters, we have a chance to relax in our lovely sauna while we think back to the best moments of our adventure. By the end of our tour, we can’t help but think the day passed a little too fast. All we can do now is take our feeling of “I want more” back to the buzz of the city.